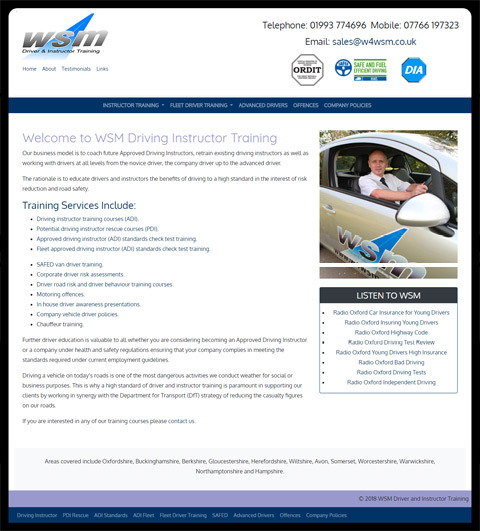 I developed this driving school website using PHP and the Bootstrap 4 CSS framework. The site is fully responsive and uses two clear menu systems. One sends the user to details about the company the other is used for driving school services. The ease of navigation is advantageous to humans and is an important element of search engine optimisation. I made the design clean and clear, and used code and markup that search engines seek, to decipher what is on the page.